I met Shawn Goodman last January when I went to New York for the SCBWI Winter Conference, and I really enjoyed talking with him. His intelligence shows when he speaks though he's not at all pretentious. He's warm, modest, and a nice guy all around. He's been inspiring to me, really, and I'm so happy to be able to share an interview with him. 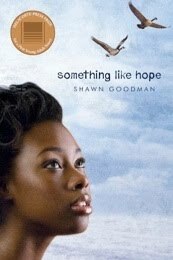 His book Something Like Hope won the Delacorte Contest in 2009 and will be coming out in spring 2011. My prediction: big things in Shawn's future. He's definitely going places. Shawn Goodman is a writer and school psychologist. His experiences working in several New York State juvenile detention facilities inspired Something Like Hope. He has been an outspoken advocate for juvenile justice reform, and has written and lectured on issues related to special education, foster care, and literacy. 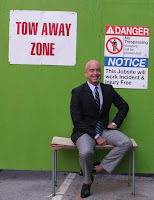 Shawn lives in Ithaca, New York, with his wife and children. Visit him online at www.shawngoodmanbooks.com. D.S. : Tell us about Something Like Hope. S.G.: Something Like Hope is about a girl who wants a second chance but thinks she doesn't deserve one. It's about the strange and complicated relationships that form between desperate people. It's about the colossal failures of the juvenile justice system to protect and educate kids, many of whom have survived years of abuse and neglect. D.S. : What inspired the story? S.G.: I wrote Something Like Hope while working as a psychologist in a girls juvenile justice facility. The impetus was the lack of YA books (at the time) that reflected their experiences. The only one that came close was The Coldest Winter Ever, by Sister Souljah. The girls absolutely loved that book, but it was summarily banned. D.S. : When did you first see yourself as a writer? S.G.: I'm not sure when I first saw myself as a writer. I've always told stories, and I am pretty sure I subverted the process of writing them through the obsessive pursuit of different interests and hobbies. It wasn't until I burned out on those things that I turned seriously to writing. My identity as a writer is still a fairly private thing, though I suspect it's mostly because I work full-time in a school and few of my colleagues know that I write. It was the same when I cranked out humor columns for an alternative newspaper under a pseudonym: no one in town knew I was that guy. D.S. 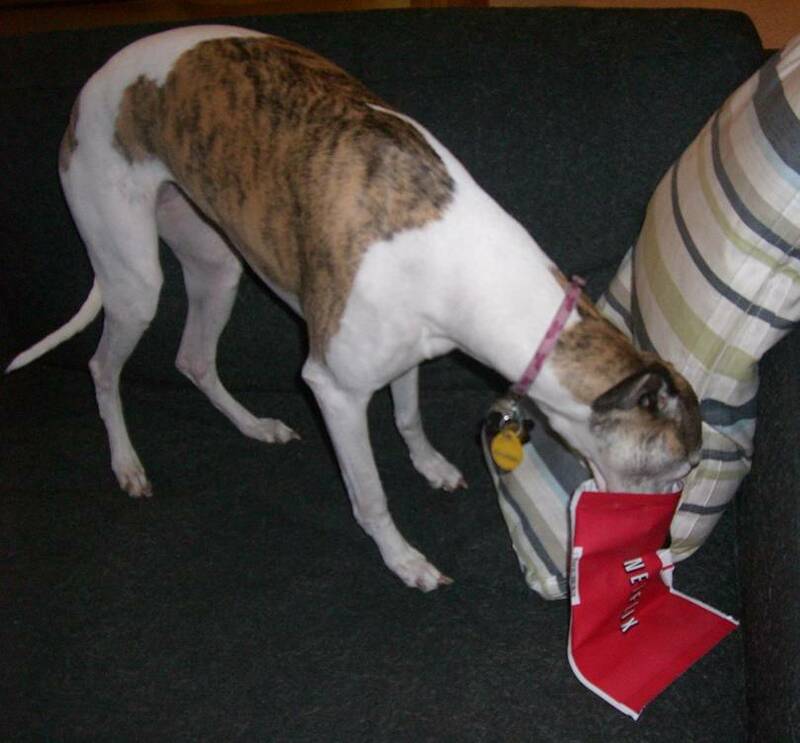 : What was your reaction when you found out you won the Delacorte Press Contest? S.G.: When I got the call about the Delacorte contest I seriously under reacted. I was at my job, trying to finish an evaluation, trying to get out of work on time to pick up my kids, and my head was completely stuck in the daily grind of working through that particular day. When I had a chance to think about it, I was genuinely surprised that the editors had chosen my book. After all, the idea of a hard-edged look at the juvenile justice system through the eyes of an extremely vulnerable yet tough and unreliable narrator... well, it's not necessarily an easy sell. D.S. : What are you working on now? S.G.: Right now I am working on a book for older boys, though it should appeal to girls as well. It's got a little of everything in it: action, adventure, romance, humor, violence. I set out to write something that I would have enjoyed reading when I was 16 or 17. If you think about it, most boys hate to read but absolutely love movies. Specifically, they love movies that are filled with action, adventure, humor, and sci-fi. I think they're pretty clear, too, about what interests them, as well as what holds no interest. I hated to read as a kid, and I think it was mostly because I didn't have access to books with stories and characters I could relate to. They probably existed, but I didn't know about them. D.S. : Do you have any advice for new writers? S.G.: There's little I can offer by way of advice that isn't cliche. That said, it's extremely important to find personal reasons to write and keep writing. Reasons that are outcome oriented, on the other hand, like getting published, or making a certain amount of money, or being able to write full-time, are bound to result in disappointment. So be wary of goals that have a built-in anxiety or feel-bad-about-yourself-as-a-writer factor. Also, limit the amount of time you spend on-line or in person with competitive people. There's nothing inherently wrong with competitiveness, but it can get out of control and lead you away from the great personal reasons that brought you to writing in the first place. Thank you, Shawn, for the interview. I'll be buying a copy of Something Like Hope as soon as it comes out and bringing it to a future conference to get your autograph! Seventeen-year-old Shavonne has been in and out of juvenile detention since the eighth grade. Angry and confused, she turns to Mr. Delpopolo, an overweight, sad-eyed man who is struggling to accept the reality of his own shattered life. With compassion and honesty, he helps Shavonne understand the connection between her self-destructive behavior and the shame about her past that burns through her with so much intensity. For the first time, she tells the truth about her crack-addicted mother, the baby she delivered straight into the foster care system, and the pain she feels about her role in her brother's accident. But even as Shavonne comes to understand the past, her present--life in the Center--threatens to explode in even more violence and confusion. Her fellow inmates, who have suffered their own unspeakable tragedies, can't seem to escape the abusive guards and careless counselors who corrupt the system and make it impossible for even the most well-meaning employees to make a difference. But as her eighteenth birthday draws nearer, Shavonne is touched by a series of unexpected kindnesses that shift her vision of the world. She begins to believe that maybe she, like the goslings recently hatched on the Center's property, could have a future beyond the barbed-wire walls of the system. This gritty and unflinchingly honest look at life in juvenile detention, winner of the 2009 Delacorte Contest, will break your heart, change the way you think about "troubled" teens, and ultimately, leave you feeling something like hope. It's 10 p.m. Do you know where your WIP is? This is Jim, Dawn's husband. Dawn asked me to do a short follow-up post reminding you to back up your work. *Level I: Ensure Microsoft Word AutoRecovery is enabled - every five minutes is a good rule of thumb. *Level II: Create a backup copy of your WIP (and other related files) - back up daily to a different computer or hard drive. *Level III: Create a disaster recovery copy of your WIP - store in a fireproof box, a safe deposit box, or another physical location. If that doesn't scare you, imagine the alternative: following your dog around the backyard. Or even worse (? ), starting all over again. I'm all fired up about my new WIP (though I don't know how long I can refer to it as "new"--I guess it's just my WIP now), but I recently had a little bump in my path. I started questioning whether YA was the best genre for this story. I asked myself, "Self, would this be better as a tween book?" And I didn't think it would. Truly. But I wasn't sure. Of course, changing the genre would change my story quite a bit--not only the voice but so much of what actually happens. You know, the big stuff. The thing is, once you ask yourself that question, you have to be really open to the answer. I went through my outline knowing that if my story could be Six Million Dollar Man-ified (rebuilt better, stronger, faster--wow, I'm so dating myself...uh, my grandma told me about that show), it would be the thing to do. We, after all, want to write the best books we can. So I experimented. In addition to noting necessary changes to my outline, I wrote the chapter I was working on at the time with a thirteen-year-old protagonist. Then I wrote the same chapter the way I'd started the manuscript, with my sixteen-year-old protagonist. I played with various scenes both ways to get a broad and detailed sense of the story. I feel a big difference between thirteen and sixteen--and so many little differences that add up to a character's voice. It was interesting but stressful, having this sudden uncertainty. Still, I'd rather play with it now when I'm less than halfway through the first draft. Of course I have plenty of revision ahead regardless, but if I can nail the genre now, it will be much easier to revise later. So I looked hard at the YA books I've been reading, talked to a librarian, asked an agent at the conference about genres, and thought about the story I want to tell. So how's your writing schedule? Is it just right or would you benefit by pushing yourself a little harder? In the comments, feel free to write something you'd like to try (or something you've already tried and found helpful) to make your writing time more productive. Otherwise, you can place bets on how long you think I can succeed at/survive this no email while I'm working thing. *Unless it's critique group day (I have to be aware of last minute changes, especially since we often carpool) or a weekend. That means I'm allowed to run to my computer at 6:00 a.m. on a Saturday if I choose to do so. The thing is, why would I? Mark McVeigh of The McVeigh Agency invited a group of his followers to participate in a webinar, and guess what?! I was one of the lucky followers! Squee! It was such a great experience, and I learned a ton. Plus it was fun! Mark worked as an editorial director at Simon and Schuster before becoming an agent, so he definitely knows the industry. He also used to be a teacher, and (here's the part that sparked his webinar idea) he misses teaching. Do you see where I'm going with this, bloggy friends? It was as if fortune smiled its shiny, little face upon me because an agent who used to be an editor and a teacher (important because Mark knows how to structure a class extremely well) invited me to participate in a webinar about publishing. I could not reply "YES" fast enough. It was an online interactive webinar led by Mark. He talked to us and we could ask questions. He spoke about the business side of things: getting an agent, getting an editor, and getting published. We could see him and he could see us, so it was all cozy and nice. He presented everything in this amazingly organized and interesting way while keeping tabs on us, just as a teacher would with students in a classroom. It was an uber cool opportunity, and I'm so happy I was able to take part in it. Another benny? The other participants and I are staying in touch via email and blogs. (Hi, guys!) A critique group even formed out of it. Isn't that cool? 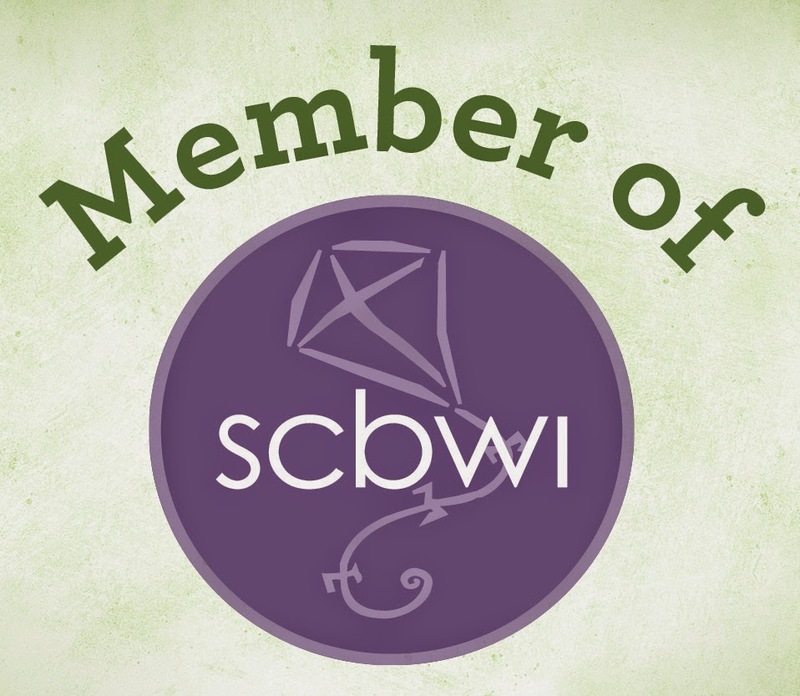 We writers who blog already know how the Internet can help us feel connected to the writing community beyond our critique groups, cities, states, regions, and even countries. This experience is another perfect example of that, and I appreciate how Mark McVeigh and the other participants made it so special. Thanks, guys. 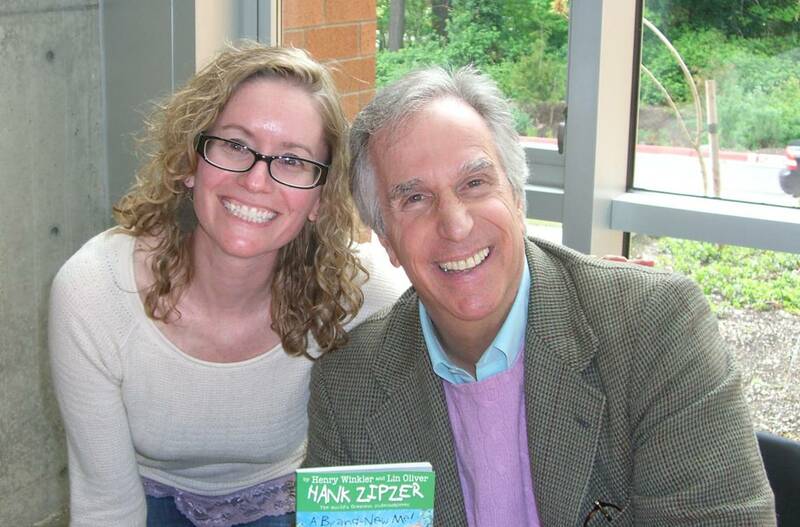 My family and I heard actor/director/producer/children's author Henry Winkler give a talk today, and it was great! HANK ZIPZER: A BRAND-NEW ME! is the seventeenth (and final) book in his Hank Zipzer series about the "World's Greatest Underachiever." Henry Winkler writes with Lin Oliver, and they make a great team. Lin Oliver, for those of you who don't already know, started SCBWI with Stephen Mooser, and she's awesome. I've heard her speak, and she is one of those people you immediately like and wish you could go to coffee with. So if you add that up--the whole starting SCBWI thing plus the instant likability and the fact that she's uber funny--you get a ginormous WOW from me. Lin Oliver wasn't there today; Henry Winkler presented on his own, and he was fabulous! HANK ZIPZER: A BRAND-NEW ME! Winkler and the protagonist in the series, Hank Zipzer, are both dyslexic. In fact, many of Hank's struggles come straight out of Mr. Winkler's life. Mr. Winkler spoke about his childhood, his struggles with school, and his life now. He spoke beautifully and shared hilarious stories. Hearing him was like listening to a stand-up comedian with a fabulous message emphasizing tenacity and gratitude. One of my favorite parts was the way he spoke to the children in the audience, especially when they asked questions. He didn't talk down to them, but treated them with warmth and respect. I was so impressed with his kindness. I also loved the way he talked about writing, and how he clearly puts so much heart into his books. 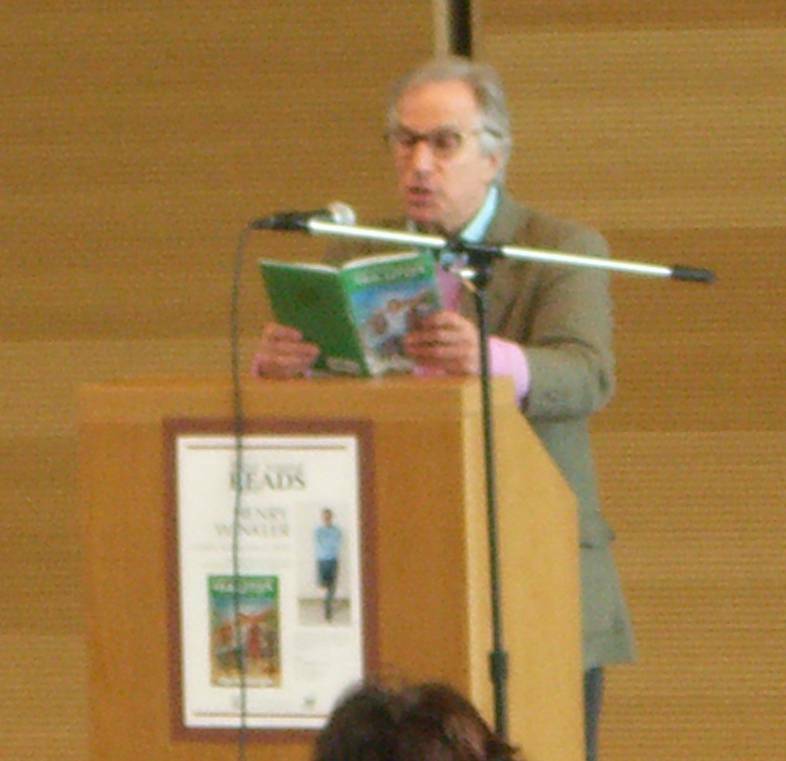 If you have the opportunity to hear Henry Winkler speak, don't miss it. And bring your kids. With or without the leather jacket, the man is incredibly cool.